I'm a natural kind of girl. I don't dó make-up, and as for clothes, I think less is more. Considering this, wearing shoes that correct the way my feet hit the ground, doesn't really suit me. So when I read about the new ProGrid Mirage shoes by Saucony, I felt a rush of excitement. Because this shoe is made for 'natural motion', and really suits the natural running trend, of minimalistic shoes. Minimalistic shoes offer your feet more freedom, hence your movement becomes more natural. I love this concept, and it also fits in nicely with ChiRunning. I haven't worked up the courage yet to go barefoot, but the ProGrid Mirages might be a great stepping stone. They'll prevent my dainty feet from getting hurt on pebbles and stuff, and at the same time they offer a feeling of going barefoot. So I was very excited at the opportunity to try some out. My first surprise was the way they looked: they actually looked nice! I had resigned myself to the fact that running shoes are ugly, but the ProGrid Mirages are cute! The shoes I tried were black, with pink soles. 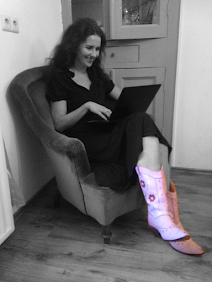 And with every step I took, I flashed my pink soles. It made me feel all girly. But the biggest surprise of all was the way they felt: light as a feather! 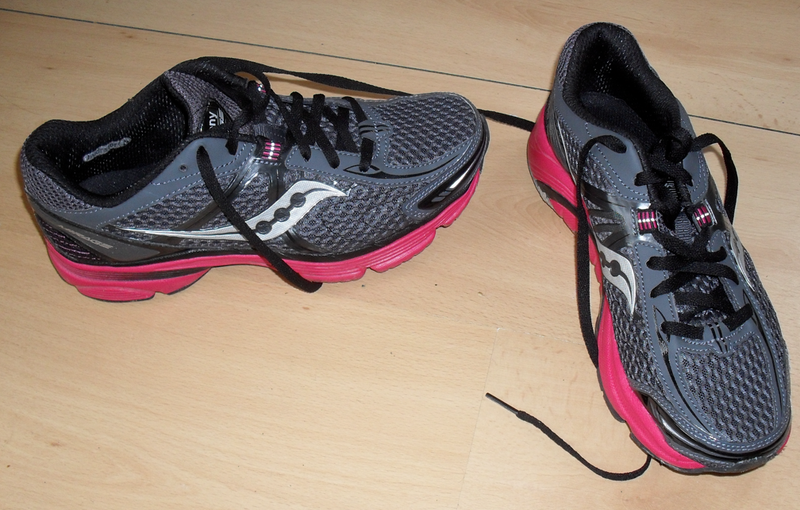 Compared with the ProgGrid Mirages, my other running shoes, Saucony Omni 9, feel like two blocks of concrete. And becasue they felt so light I ran a personal record without even trying. Forget Redbull: it's ProGrid Mirage shoes that give you wings! When I ran on my feathery light ProGrid Mirages I felt like a child again. I wasn't running, I was skipping! Never in my life have I worn such happy shoes. I didn't know it was possible to run through life in such a lightfooted manner. I highly recommend the Saucony's ProGrid Mirages. Not only do they look great, they run fantastic. There's only one problem: I love them so much it's hard not to wear them on áll my runs! But I have to be sensible, and work up to wearing them more often or I'll risk getting hurt. Luckily I've found a great solution: I'll wear them as a mom! Visit the Saucony website where they tell you all about the ProGrid Mirages. Thanks for visiting my blog!! I have looked at the Mirage too and was thinking about getting it as well, but I haven't made up my mind yet! I'm glad to hear that you really like it!